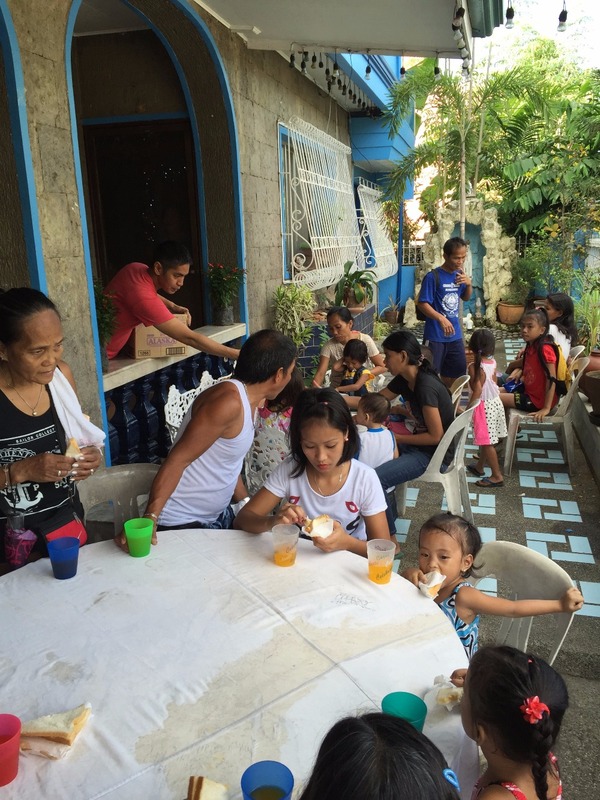 For the past two decades, our home in Cainta, Rizal in the Philippines becomes a soup kitchen each Christmas day. The tradition has its roots in the early 1990s when our Mom started putting together goodie bags filled with crackers, candy, and other snacks to give away, first, to young carolers with their handmade musical instruments who would come each night of the holiday season, then soon after to homeless children along Marcos Highway, Ortigas Avenue, and wherever my Mom’s car took her in her travels around the city. 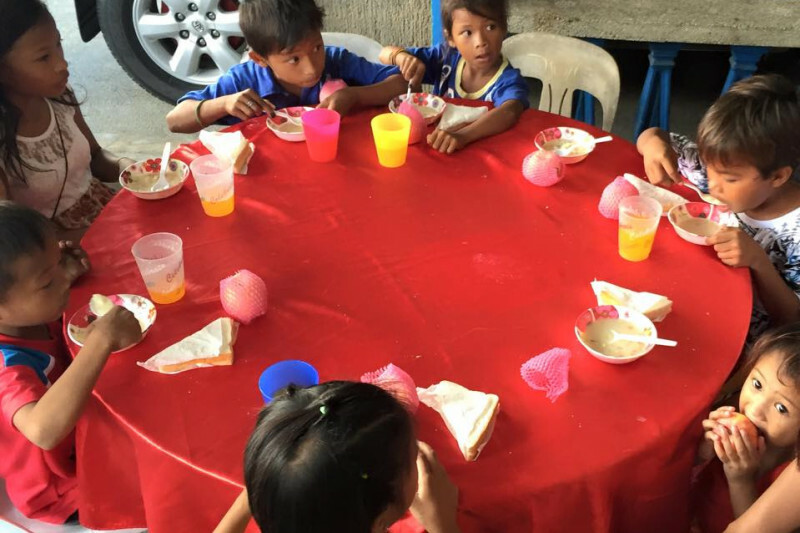 By the early 2000’s, my brother, who had then started to take over from my Mom, started inviting the carolers and street children to our home on Christmas morning for soup and sandwiches. Every year since then, dozens of children and their families would line up outside our home in the early morning hours of December 25 for a modest Christmas breakfast, the usual goodie bags, and perhaps some fruit, packaged drinks, toys once owned by my nieces and nephews and flown in from the states, and whatever else that my siblings and I and the rest of our family were able to put together. Although much of us reside in the US, each of us has had the wonderful opportunity to actually be there on Christmas morning, helping to run the kitchen, which seem to bring in more and more people each year. I myself have had that great pleasure on three occasions; the last time, in 2015, the kitchen attracted more people than expected that some had to be turned away because we ran out of food. Over the last several years, friends who would see our postings on Facebook and other social media sites would ask us if they could help out in any way, and quite a few have. Though our family puts up the funds for the soup kitchen year after year, we definitely welcome any support we can get, not only to keep the tradition going, but to help make sure we don’t end up turning people away again. 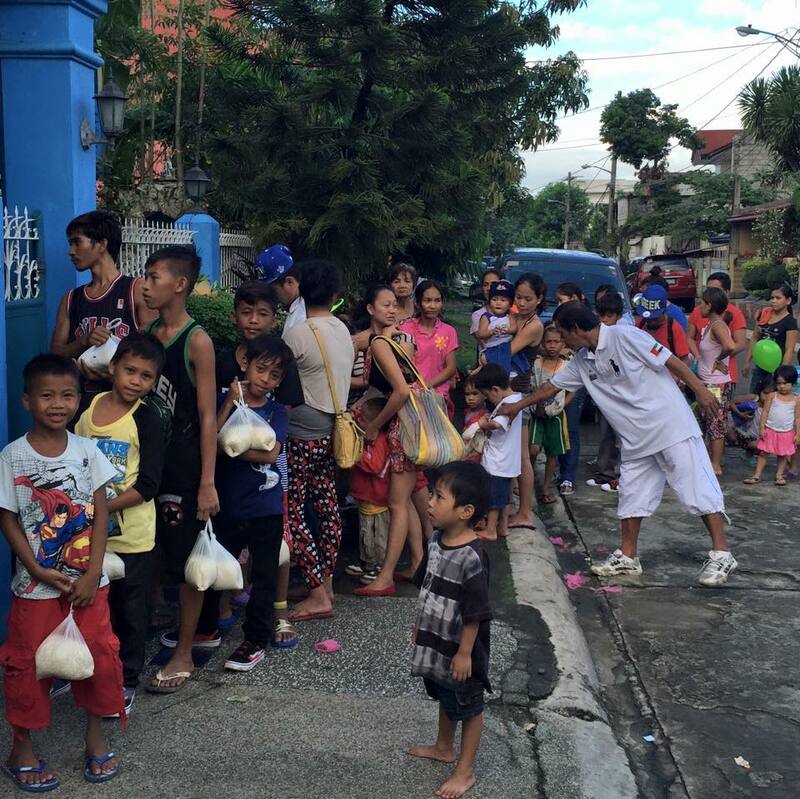 The funds collected will be used to buy more food, plates, utensils, and other necessary supplies. Any surplus will be used to help fund the kitchen the following year. On behalf of my family, we thank everyone who took the time to read this and offer our deepest gratitude to everyone who donates. If you wish to make a donation other than a monetary contribution, please feel free to reach out. The line outside on Christmas day. Our home as makeshift soup kitchen. My sister and her husband making sandwiches.